BrookfieldAngler.com: Working the Outdoor Shows! With the start of the new year and the freezing temps, the outdoor show season has officially started in the Chicagoland area!! 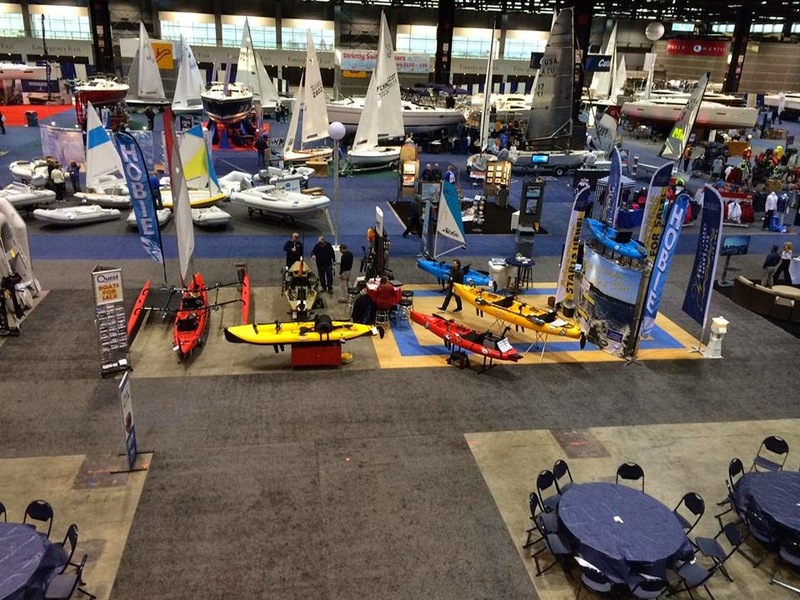 This past weekend marked my first show of the year and the first show as Hobie Fishing Team member and representing Quest Watersports at the Chicago Boat Show. It was a very fun and interesting experience on several facets. Another really cool thing was interacting with people who have a million questions about things related to these kayaks that I have never even thought of. I spent about twenty hours this weekend talking about fishing, kayaking, and even sailing. The days absolutely flew by!! I met a ton of cool people who now own a new Hobie kayak and more that I hopefully will have an opportunity to fish with. I will also be getting one of the Hobie Tandem Island sailing machines in the future. Those things look so much fun!! I talked to one guy who's owned one for a number of years and was able to hit 33mph with a good wind and two people peddling. 33!!!! I have three more shows over the next three weekends that are even more fishing focused! January 29 - February 1 - Chicagoland Fishing, Travel, and Outdoor Expo at the Quest/Hobie booth and the Lucid Fishing Booth. StankX Bait Company will be there as well so say hi to them as well!! February 7th and 8th - Tinley Park Fishing and Outdoors Show at the Quest/Hobie booth. There will be a biiiig pool there to do some demos - I might be doing a presentation in the pool as well. So, if you are going to any of these shows, stop by and say hello!!! After the shows are done...it's time to fish again!! Why don't you finagle a trip to Denver next year? They are a great way to cure the wintertime drought of open water fishing for sure!